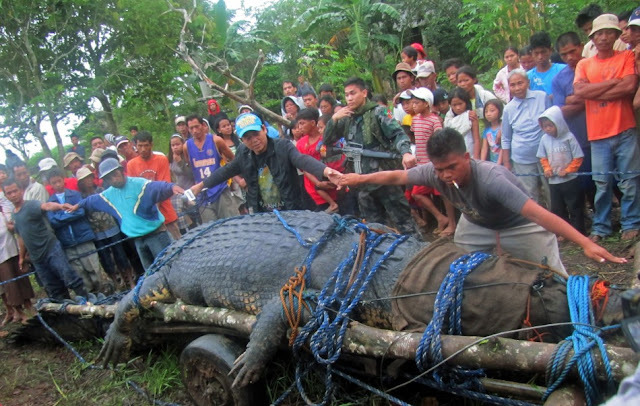 The first time I saw a live Crocodile was when I was in Puerto Princesa, Palawan having a tour of the Crocodile Farm. 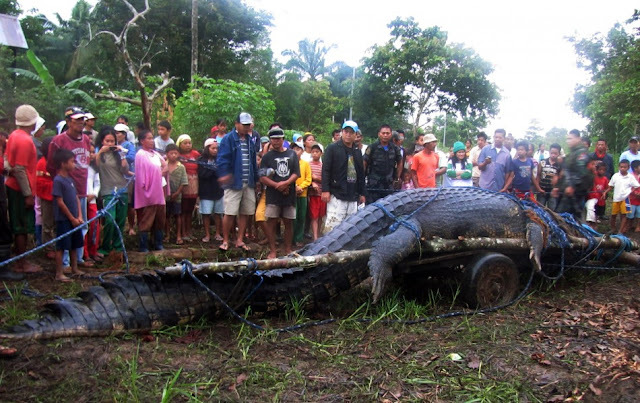 There I saw their breeder for Saltwater Crocodile..
A scary 17 foot living monster. Apparently, Crocs live a very long time and they don't stop growing. almost as big as the one captured in the Swamps of Palawan years ago. 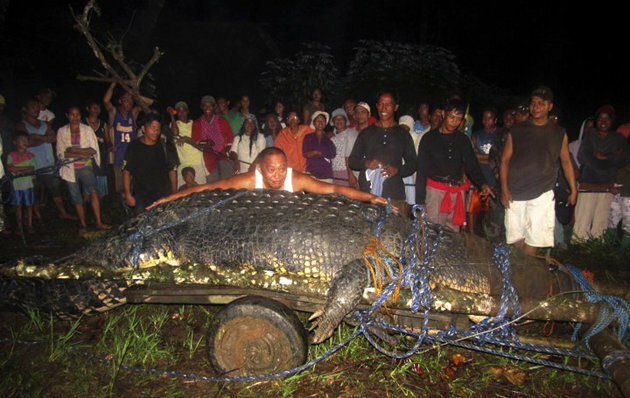 and could very well be the biggest saltwater crocodile in the world. It could be from 90 to 100 years old. only male crocodiles grow to monstrous proportions as compared to females. Being it called saltwater Crocodile doesn't mean that it only lives in Salt Waters. With this recent capture, Agusan is making its way for my upcoming travel locations. I bet, in a few years time this humble province will be in the maps of tourist. If presented properly, this humdrum is a very good opportunity for tourism. As for me, I want to go there just for the fact that Crocodiles fascinates me. I don't own any of these pictures.. But i'll get my chance to photograph this monster.